The iconic Knoll label depicting Saint Urban – the patron Saint of vineyards and winemakers. 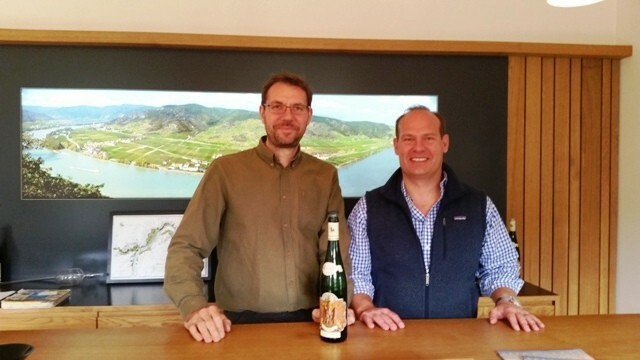 Of all the wine producers in the Wachau, maybe none more than Knoll sets ablaze the attention and desire of the sommelier set and the wine geeks, and for a very good reason as these are very special wines. Having had a few great examples of their wines back home I was convinced I had to make an appointment with Knoll to see what makes it so special. 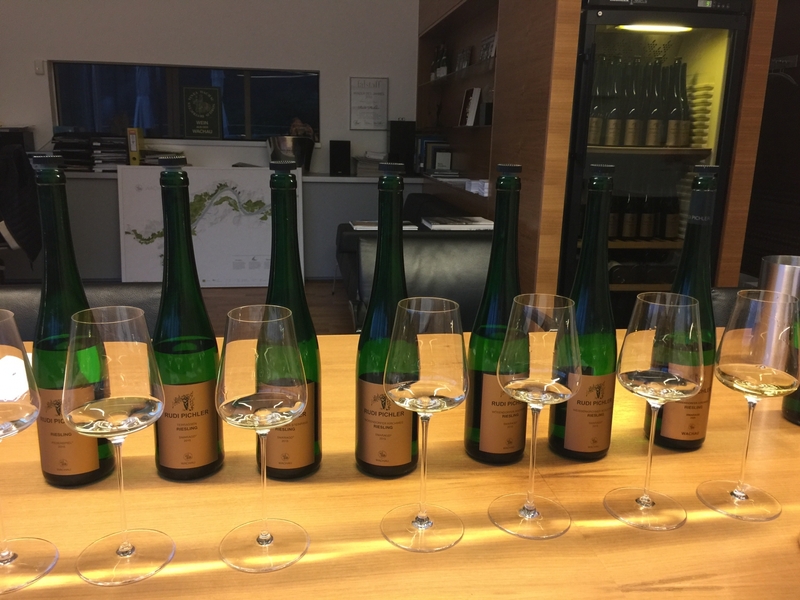 On another cloudy morning (though no rain all week) we headed down the Danube for an appointment I was eagerly looking forward to at Weingut Knoll. 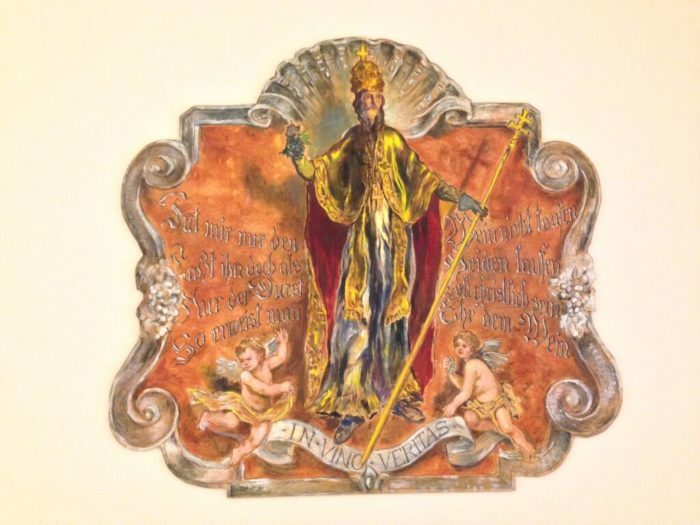 If you don’t know Knoll by name, you likely have seen the iconic Knoll label depicting a haunting image of Saint Urban, the Germanic patron saint of winemakers. Knoll is pronounced Kah-Nowle, the “K” is not silent like most English speakers might be used to. 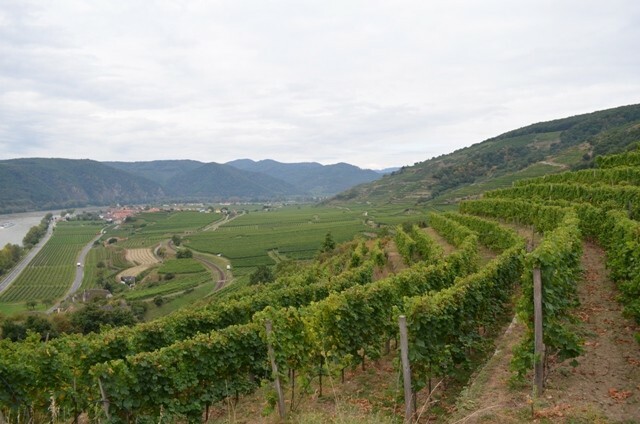 We arrived at Knoll after about a 5-minute car ride from Schoenthal in Durnstein, you can not beat how easy it is to get around the Wachau to visit the many Weingut that are nestled along the river roads in the villages. 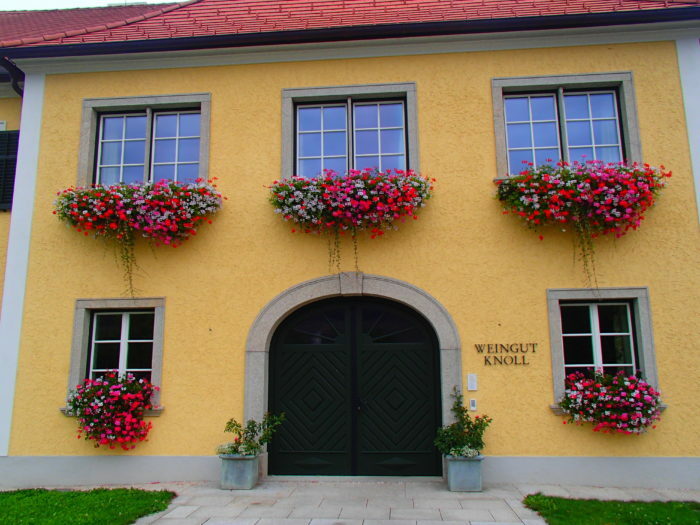 The main building at Weingut Knoll, the offices and tasting room are inside. Driving through the villages of the Wachau gives you an appreciation for the practicality and efficiency of each winemaking facility. Built with an ode to the past on the exterior (sans FX Pichler), the interior design is usually meticulous, based and designed for efficiency and precision. No space is wasted and no space more than needed is taken. As we parked I noticed the little village here of Oberloiben was also home to my afternoon appointment directly across the street from Knoll, that being home to Leo Alzinger (more on them in a future installment). Somehow with FX Pichler and Domaine Wachau nearby, I felt like I arrived in some kind of Wachau mecca. Off behind the Weinguts on the steep hills like an amphitheater lie the great vineyard sites Loibenberg, Kellerberg, Steinertal, and Hollerin to name the most famous. The Knoll facility to meet guests is gorgeous, a beautiful traditional yellow mason two-story gated property that is finely manicured and beset with beautiful gardens and florals. Inside is a gorgeous tasting room with clean wood and steel, maps on the wall show the different vineyard sites the Knoll wines come from. Across the street is Loibnerhof, the Knoll Weingarten that is one of the best in the region and a wonderful place for lunch or dinner. Loibnerhof and Knoll were separate in the past but were eventually joined as a business through marriage. Emmerich Knoll III met us in the tasting room and after some small talk we hopped in a van out to the edge of the Wachau and over into Kremstal to check out one of their newer Riesling vineyards “Pfaffenberg”. Once up there it was immediately clear why Emmerich took us there. 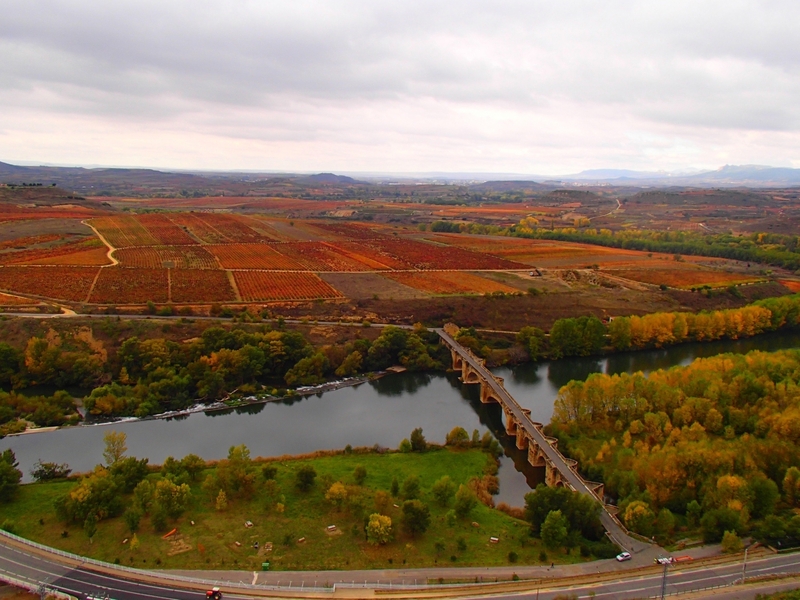 The view was fantastic as you could see all the way past Durnstein to the Liebenberg vineyard where the Danube bends an extreme almost 90-degree angle east towards us. 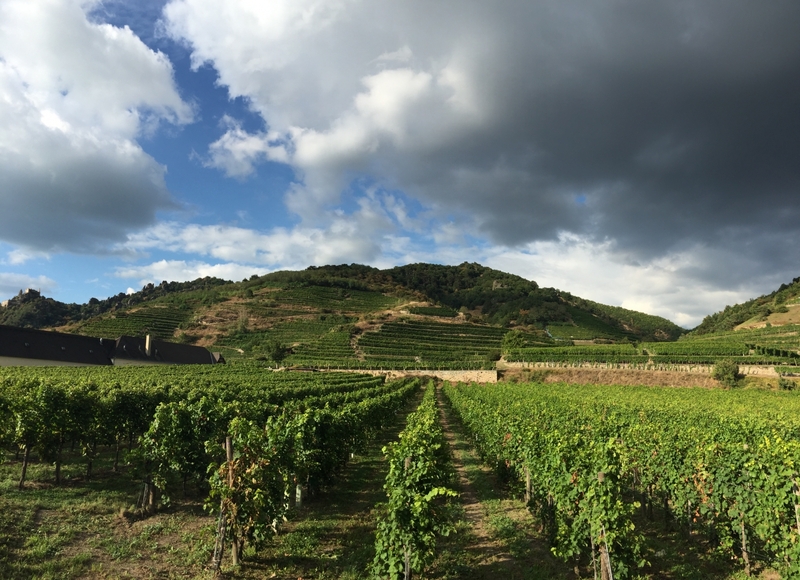 In between the entire valley floor, east of Durnstein to the ground beneath us is covered in vineyards. 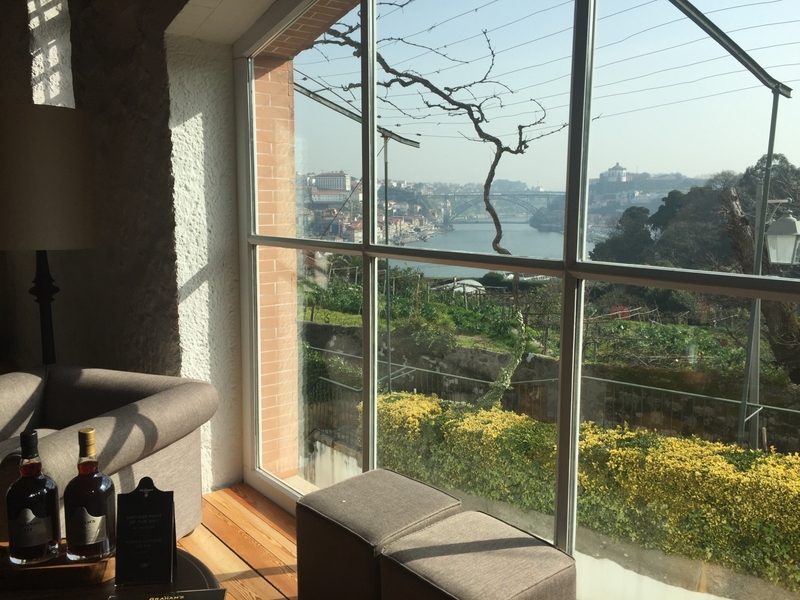 From here we saw the same legendary hillside vineyards from a southern vantage point that allowed us to see a side profile of the steep grade and defined terraces. The grand-daddy of them all, the huge Loibenberg vineyard that you see here on the mountainous hillsides in the background after the foreground Scutt vineyard vines. Like many regions in the French and German corridor that have seen their share of spilled blood from war, a huge Napoleonic battle was fought here. A large conical monument stands at the foot of the Hollerin vineyard, between the Loibenberg and Kellerberg vineyards. Over on the Loibnerhof side of the road below ground are the winemaking facilities for Knoll. Emmerich walked us through the different steps of the winemaking process. First the grapes are sorted and crushed above ground and the juice and crushed grapes are dropped by gravity into a tank below that is kept at a low temperature as this allows the juice to macerate on the skins without fermenting, this benefits the wine as the solids drop from the wine to the bottom in what is known as flotation before fermentation starts. This process usually lasts only a few hours to separate the juice from solid grape matter. 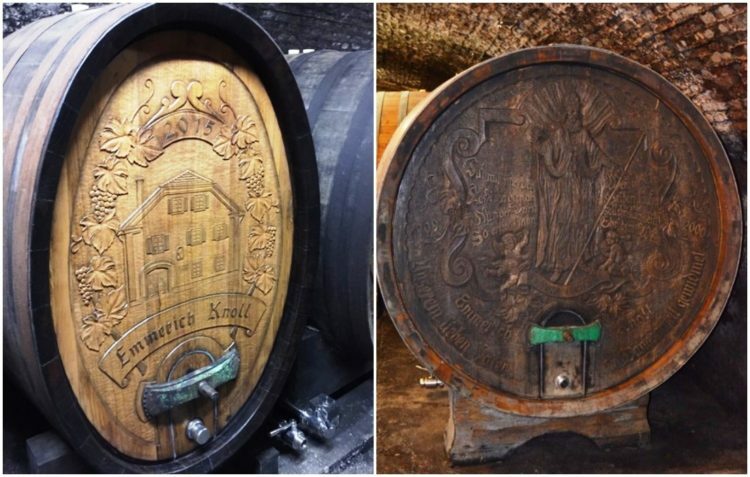 Some of the decorative barrels made from Austrian oak. These are seasoned so they impart no oaky notes to the wine. The juice is then racked from its gross lees in those first tanks and moved to steel tanks for fermentation. 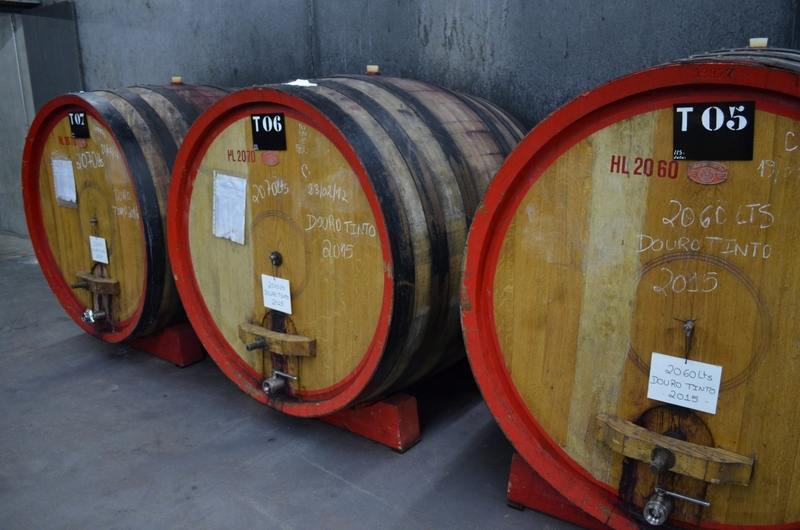 After fermentation, the wine is racked again (moved) to large, neutral wooden casks for aging. Here again, the wines are racked and then bottled within a year, usually in 6-10 months depending on the wine and the vintage. Next is bottling and we happened to run into the bottling line that was in full swing, as you can see from the video below its all automated and fairly quick. I was surprised how compact the entire system was. 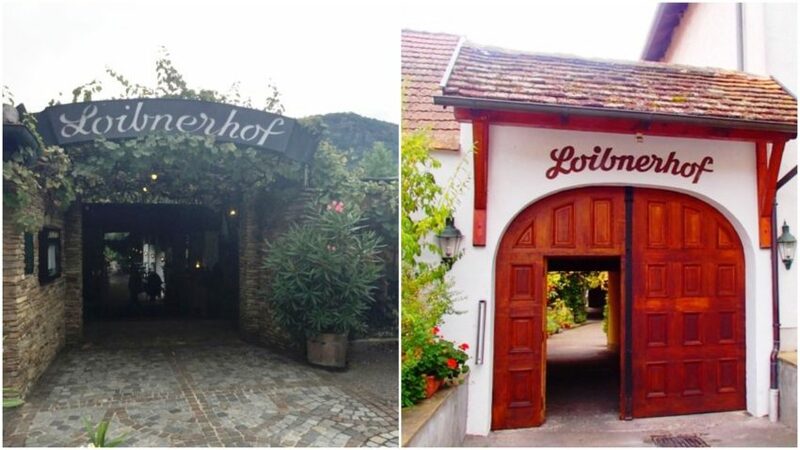 After an excellent review of the wine production process, Emmerich took us back to the Knoll reception facility to taste the 2015s and then afterwards lunch at Loibnerhof. Emmerich walked us through the 2015s and they were outstanding and so diverse within a style that was consistent of the Knoll house. The Gruner wines showed a lighter touch and were less full bodied that some other producers we had to that point. 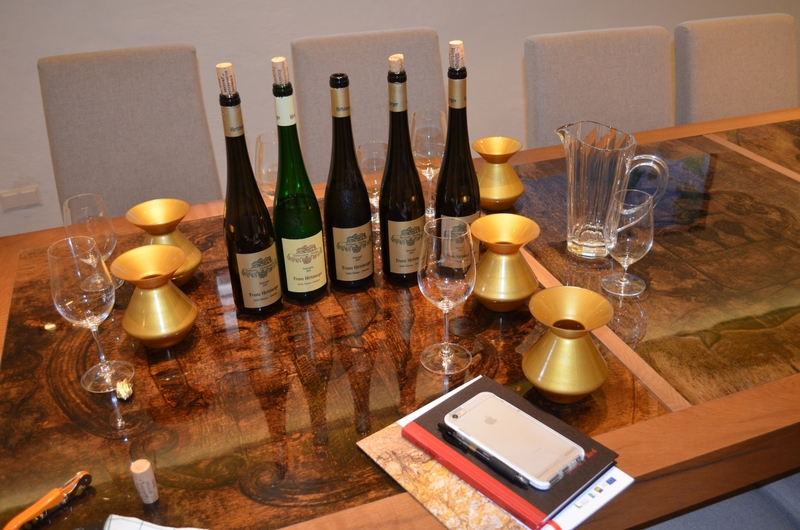 The Riesling wines, like many of the other producers in 2105, really stood out in the portfolio. Schutt really caught my attention and was maybe my favorite wine of the lineup that day. 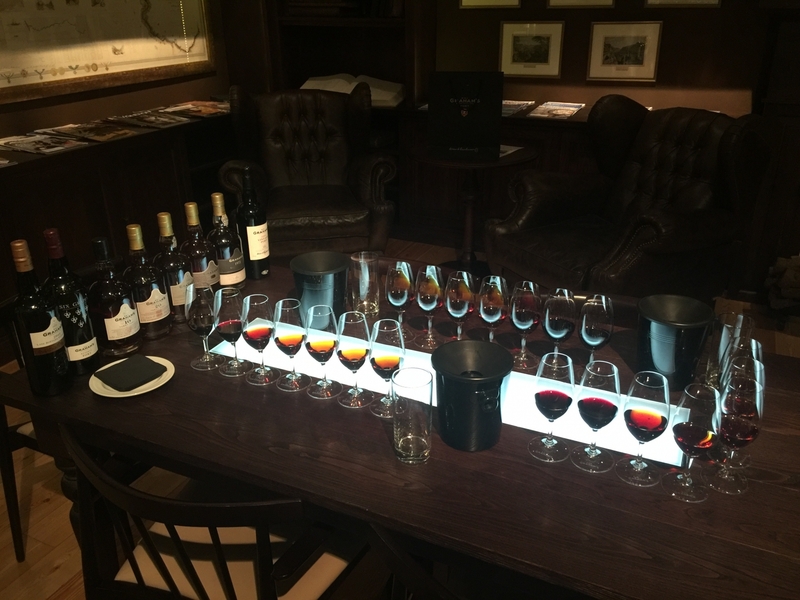 Loibernberg was the most full-bodied and made into a few different wines as their holdings are large and diverse. Kellerberg showed a cool side of this vineyard as their holdings are on the east side of the vineyard that tucked back behind the hills facing east/southeast where a channel of air and another ridge in front of it (Hohereck vineyard) reduces sunlight exposure. Pfaffenberg, the site we visited in the van, was elegant, tightly wound wine with tons of energy and quite impressive from a 6-year-old vineyard. Striking a pose with Emmerich Knoll III behind the tasting table where we sampled the great 2015s. One of the best tables for lunch or dinner in the Wachau is at the Loibnerhof restaurant on site at Knoll. Lunch afterwards was fantastic, we tried a few older vintages with our meal that were available by the glass. I almost felt like I was dressed too casual as many of the guests were old timers dressed up fairly formal or were there for business lunches. Something to keep note of for next time. Our food was excellent and classic hearty Wachau/Austrian cuisine, with a few twists. Lisa had a pumpkin soup that was excellent, while I had an excellent, and juicy fried chicken. Spending a morning and lunch at Knoll and Loibnerhof is a must if you make it to the Wachau. You get a real sense of the cultural traditions and its deep roots in the past that strive to continue in a world that seems to move further away from the traditions that define so much of who we all are as people. Medium lemon yellow in color, the nose showed bright grapefruit and lemon citrus, elegant peach, mineral and crazy linearity. Medium body, with good density nod flavor persistence that is laced with plenty of minerality. Medium lemon yellow color, a nose of lime citrus, lime zest, tense energy and density, pure and precise on the palate. From the middle to lower slopes of the huge Loibenberg vineyard, the intensity and complexity increases from the increase in site quality. Medium yellow-gold, stone fruit emerges like peach, nectarine and apricot. Loads of minerality, med/med+ body, good push and length with great cut from the acidity. Medium yellow and gold, with vivid peach, apricot and orange zest aromas and flavors. The acidity is not as crackling or as powerful as the other wines. The darker red clay soils add a wider density and roundness to the wine. A long finish sails on with cool stone fruits and mineral complexity. 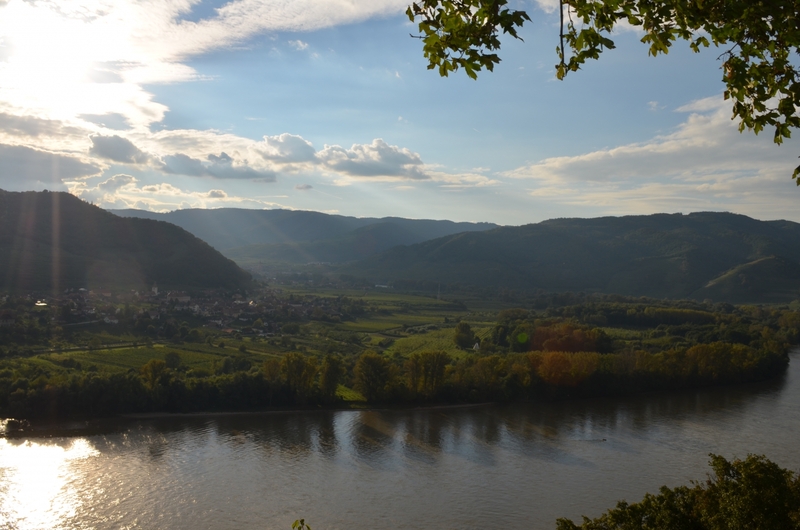 Since the Pfaffenberg is in Kremstal, no Wachau designation is allowed. Since Emmerich does not agree with all of the Kremstal rules they do not follow all the rules of Kremstal and thus can’t (won’t?) label the wine DO Kremstal. From a vineyard that is at the foot of the Loibenberg, collecting runoff from the Loibenberg in the form of rock and soil. The grade slopes mildly away from the hillside above it. This is what a terroir driven, pure Riesling with focus, tension and energy is like. Pure citrus and orchard fruits Excellent density and extract, extremely pure, long and lean. This is textbook terroir driven, mineral laden Riesling. Another vineyard closer to the hillsides so the quality is very good, but not hillside or terrace. Typically approachable in style, the wine shows juicy and sweet green apples with good acidity in a richer, more powerful full body. Quite varietal like and clean. Planted in the loess section of the hillside, this is fuller bodied, powerful, with a wider fruit spectrum, that is long and focused on the entirety of the palate with lime, apple, peach, and apricot. Denser, richer, but more acid to match. From the highest elevations of Loibenberg that Knoll owns, the fruit from here is used to make the “Vinothekfullung” when it can achieve an opulent and high degree of ripeness but is not overripe. If you happen to run into this extra-rare of a wine, wait a good 3 years from the vintage date to drink it as it takes 2-3 years to integrate fully in the bottle. The color is a medium gold hue. The nose and a plate show notes of waxy dry peach, golden apples, a touch of honey, and slate like minerality that is dense and long on the palate. Medium to full-bodied, the flavors and textures are falling into place and the integration is starting. 80% gneiss soils from the far eastern section of the famed Kellerberg vineyard that ripens slower, less than the sections closer to the river on the western section. High toned acidity, bright, intense mouth florals. The fruit is ripe citrus, with some apple and a little trace of stone fruit. 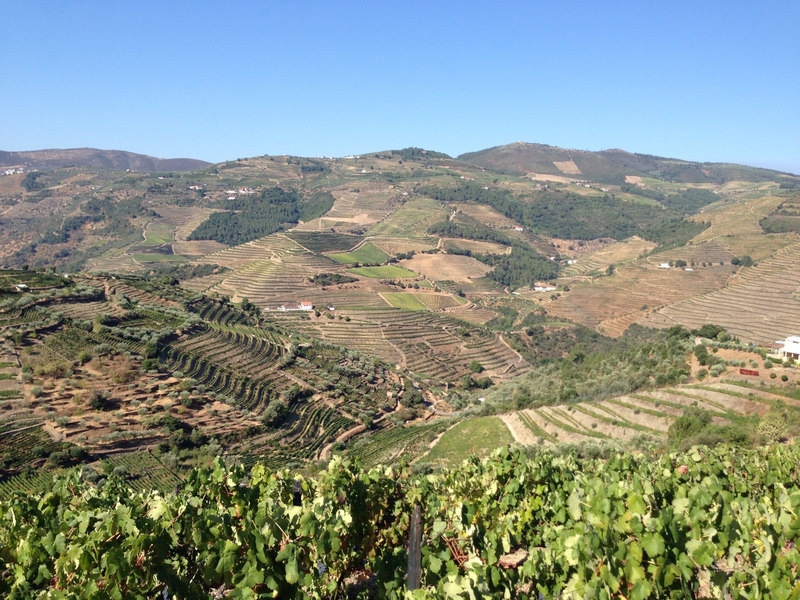 The expression here compared to other producers in the warmer sections shows the contrasting terroir differences. Thanks for sharing such a valuable information. 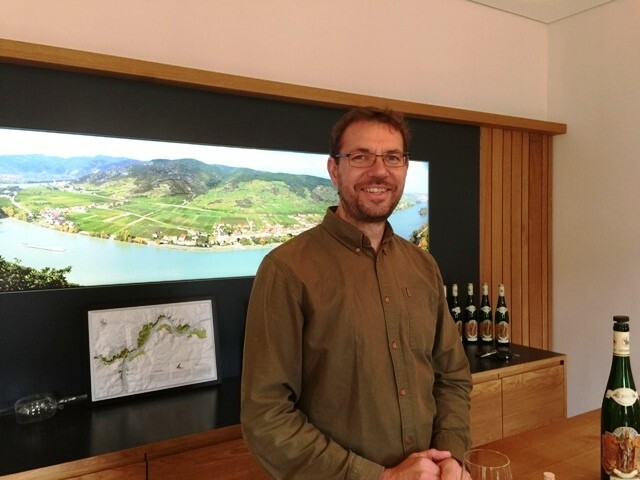 Weingut Knoll is known for his great taste. What a fine brand. 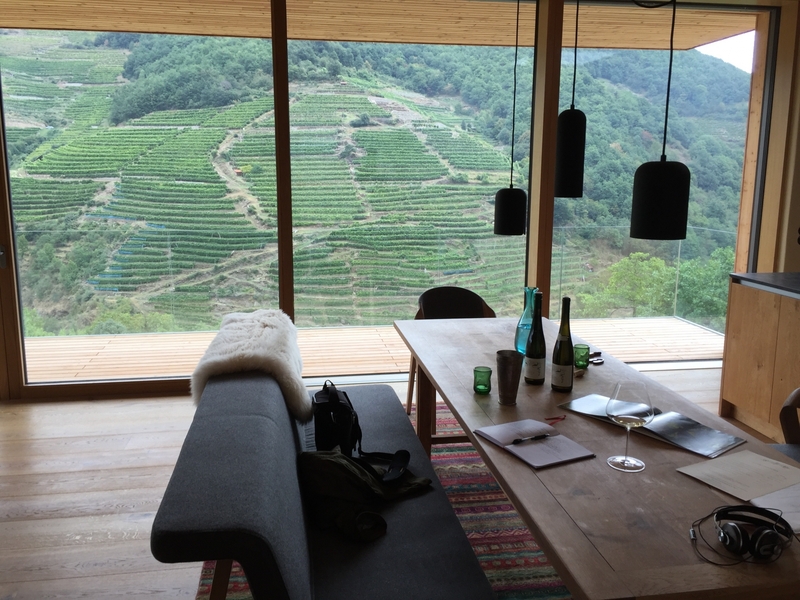 Ever the classicist is right, Knoll is my go to for Wachau wines. They never let me down, whether Smaragd or Federspiel, Gruner or Riesling, not to mention a really good Traminer that is pretty rare to come across!